The best hair color is color that looks natural. It's hair that receives compliments on the street, however people are unsure if it was done at a salon or if the person with that hair color was blessed with amazing natural highlights or color. The word Balayage by definition means to paint. Balayage is the technique of painting individual, select pieces of hair that creates a very tailored and natural effect unique to every individual. The results can be subtle and sun kissed, or dramatic and defined; it's all in the desire of the client and creativity of the stylist. 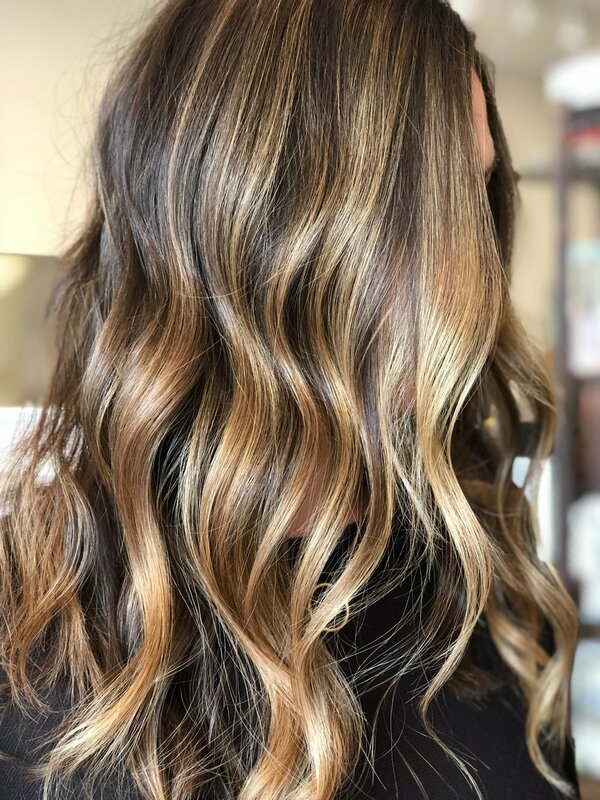 Most people will refer to Balayage as a certain look or hair color, but remember it's a hair coloring process and technique. Blonde hair color is most commonly associated with Balayage, however Balayage can be done on any hair color, the degree of lightness again depends on the desired result and beginning color of the hair. For example, someone with dark brown hair who wants a Balayage look/ application may want a more natural and sun kissed look. The result of the application could be something like caramel pieces mimicking where the sun would naturally lighten the hair. The stylist is an artist and will paint your hair as their own canvass with your guidance and end results in mind. A consultation with your stylist is one of the most important parts of any coloring process, so be sure to be clear and precise about the outcome you as a client would want to achieve.